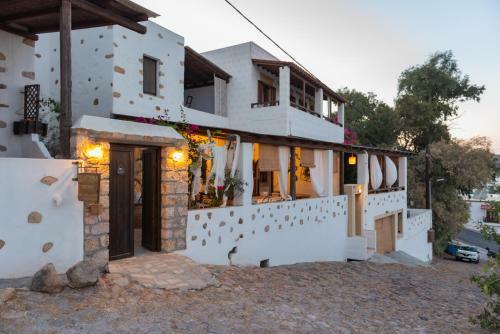 Located up the main road from Skala, more in the residential area, so it was quiet at night. Good location for an easy walk to the Cave of the Apocalypse. It was a bit too far to walk to Hora from here, so we caught the bus from the Cave to the Monastery/Hora. They run approx every hour and I believe the last bus down from Hora to Skala was 1:45pm. The walk down to Skala was pleasant (the walk up in the heat of the day is more challenging). Lovely views from the room patio. Nice host onsite and always available. Warm welcome, friendly treatment from everboy. That was the best time i've spent in the location!!!! Stayed in apartment so very spacious for 2 people. Very well decorated - clean and fresh. Lovely bed linen and towels. Wonderful hosts. Beautiful view. Good exercise walking up and down to Scala. the apartment was peaceful, spacious, breakfast fine, cleaning daily and thorough, and our host was exceptionally helpful. We have been very happy here, very relaxed, and fully plan to return. It was indeed a special place quite near the city but far enough to enjoy the beautiful view and the silence . Our hosts were very friendly we felt at home . The decoration was very nice . Absolutely fantastic hotel!! !Nicely decorated,fantastic staff and the studio was very good. Nice comfortable bed and bedlinen was topquality. 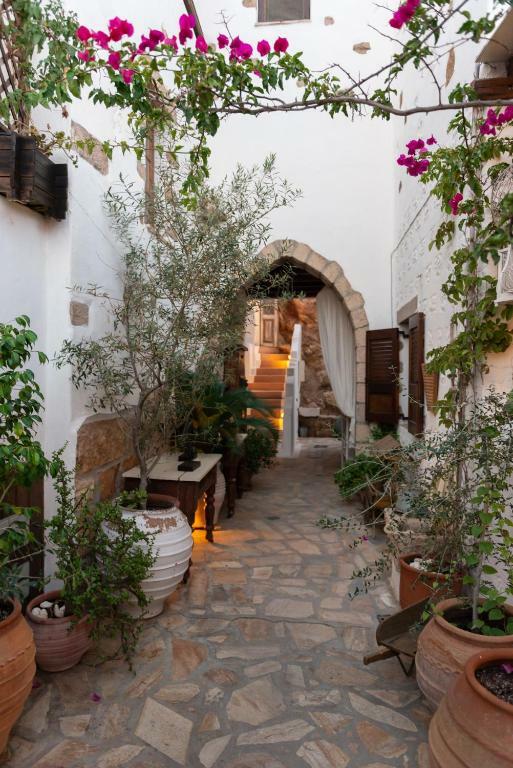 The hosts did an outstanding job, the rooms were extremely clean and freshened up daily, the decor was like that of a vogue magazine with a cycladic style. Location and view was fantastic. Worst part about the place was leaving. Highly recommended. Fantastic island! Excellent place! Must visit and stay there! 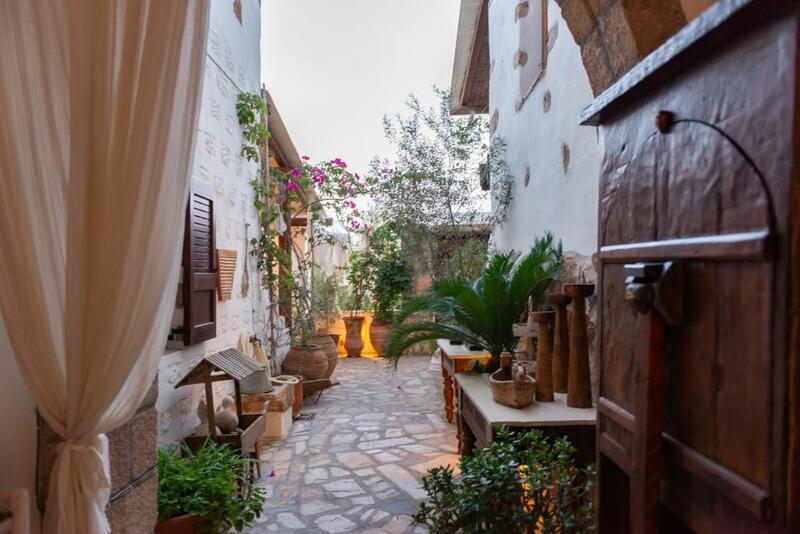 In the moment you enter the house you feel it has been created with attention to every detail and with desire to make you relax and enjoy your stay. The service is excellent, the design of the guesthouse is special, beautiful & comfortable with a relaxing terrace with view of Scala and the sea... it is lovely and cozy. 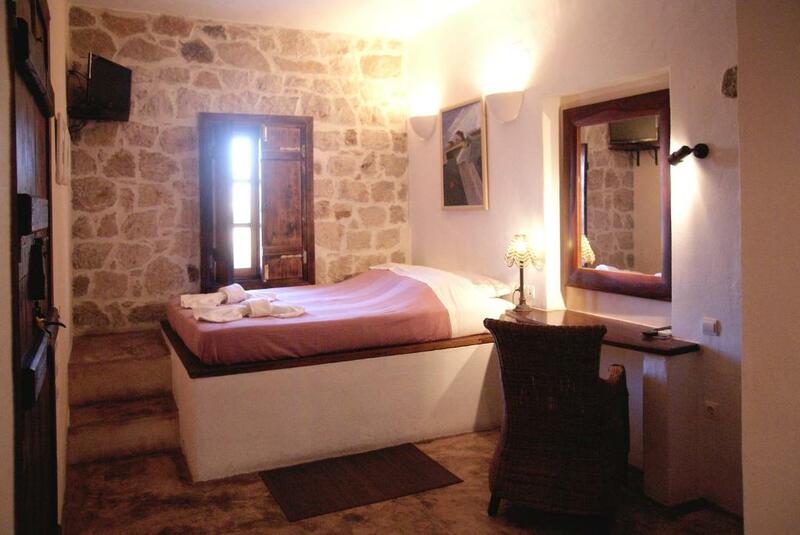 The room is big, extremely clean, with large double bed with curtains and furnished with great taste. The breakfast was nice and hearty. Full-equipped kitchen if you want to cook yourself. Very close to the Cave (we've found a secret path). The hosts were very friendly, they met us at the port when we arrived at midnight to the island, gave us good directions to local places, we were invited to visit a small lovely church at another part of the island and we enjoy church celebration together . Thank you for being so hospitable! The view in Skala and Monastery and the good level of cleaning. Lock in a great price for Kalderimi Studios – rated 9.2 by recent guests! 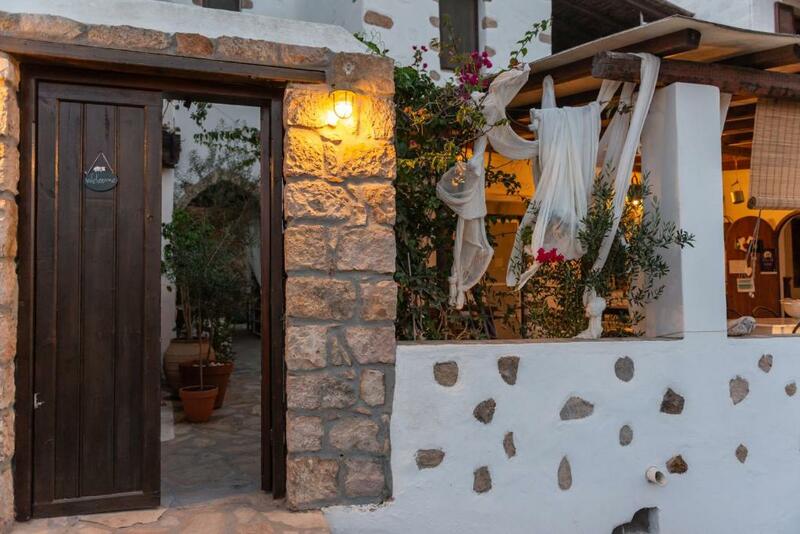 Located in Skala Village of Patmos, Kalderimi Studios are built according to the local, traditional architecture. They offer self-catering accommodations with views over the Aegean Sea and the mountain. Free WiFi access is available in all areas. 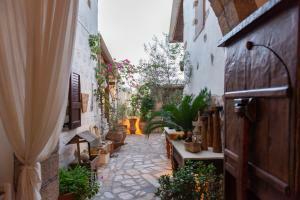 Opening to a furnished terrace or a balcony, all air-conditioned studios of Kalderimi come with a flat-screen TV. Each has a kitchenette with cooking hobs and a dining table. Slippers and free toiletries are included in the private bathrooms. A restaurant, a café bar and a supermarket for the general supplies can be found 650 feet away. The popular site of the Cave of the Apocalypse can be reached within short walking distance, while Skala Port is accessible within a short drive. When would you like to stay at Kalderimi Studios? 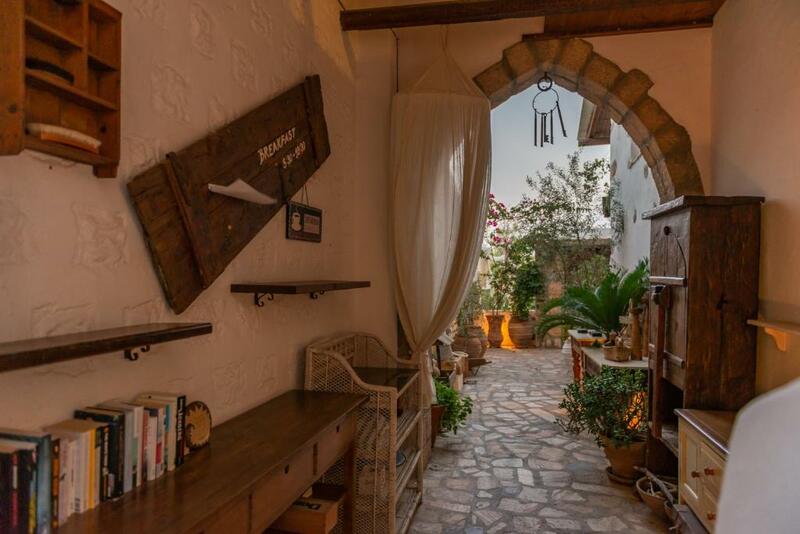 Opening to a furnished balcony, this air-conditioned studio comes with a flat-screen TV. It has a kitchenette with cooking hobs and a dining table. Slippers and free toiletries are included in the private bathroom. Free WiFi is provided. Opening to a furnished terrace, this air-conditioned studio comes with a flat-screen TV. It has a kitchenette with cooking hobs and a dining table. Slippers and free toiletries are included in the private bathroom. Free WiFi is provided. This apartment has a CD player, private entrance and air conditioning. Konstantinos Konstantinidis is a professor of Physical Education and Sport Science graduated from the University of Athens, specializing in skiing and waterskiing. He holds a master's degree (MSc) in Sport Management from Loughborough University (United Kingdom) as a graduate of the School of Sport, Exercise and Health Sciences.He holds a Diploma in Negotiations from Athens University of Economics and Business. He is a PhD candidate at the University of Athens in the field of Sports Law. In 2005 he began his professional involvement in the tourism industry. - Το νησί περιστοιχίζεται από πολλές καθαρές παραλίες, με γαλάζιες σημαίες. - Στην Πάτμο θα βρείτε επίσης πολλά γραφικά και εντυπωσιακά λιμανάκια. - Στις ταβέρνες του νησιού θα απολαύσετε φρέσκο αιγαιοπελαγίτικο ψάρι, κυριολεκτικά μπροστά στην θάλασσα ή σε όμορφες βεράντες με καταπληκτική θέα. - Το νησί εχουν επισκεφθεί κατά καιρούς πολλοί επώνυμοι, ενδεικτικά αναφέρουμε ότι στο μικρό παρεκκλήσι που θα δείτε από τις βεράντες μας, διάλεξε να αρραβωνιαστεί ο τότε πρωθυπουργός της Ελλάδος κ. Ανδρέας Παπανδρέου. - Η νυκτερινή ζωή της Πάτμου προσφέρεται επίσης για διασκέδαση σε πολλά επίπεδα. Μην χάσετε: Tην βιβλιοθήκη με σπάνια χειρόγραφα, 2.000 βιβλία και 13.000 έγγραφα. Τη μονή Ζωοδόχου Πηγής μέσα στη Χώρα, δείγμα καθαρά νησιώτικου ιερού, με υπέροχες εικόνες του 16ου και 18ου αιώνα. Το Κοινόβιο του Ευαγγελισμού, στα νότια της Χώρας. Στο μοναστήρι ζουν αρκετές μοναχές και λειτουργεί σχολή χειροτεχνίας πατμιακών κεντημάτων. Την περίφημη Πατμιάδα σχολή που ιδρύθηκε το 1713 και υπήρξε κέντρο των υπόδουλων Ελλήνων, ιδιαίτερα στη διάρκεια της επανάστασης του 1821, λειτούργησε ως επτατάξια εκκλησιαστική σχολή, ενώ μαθητές της κατα καιρούς αναδείχθηκαν σε εκκλησιαστικούς ηγέτες. House Rules Kalderimi Studios takes special requests – add in the next step! Kalderimi Studios accepts these cards and reserves the right to temporarily hold an amount prior to arrival. Please inform Kalderimi Studios of your expected arrival time in advance. You can use the Special Requests box when booking, or contact the property directly using the contact details in your confirmation. 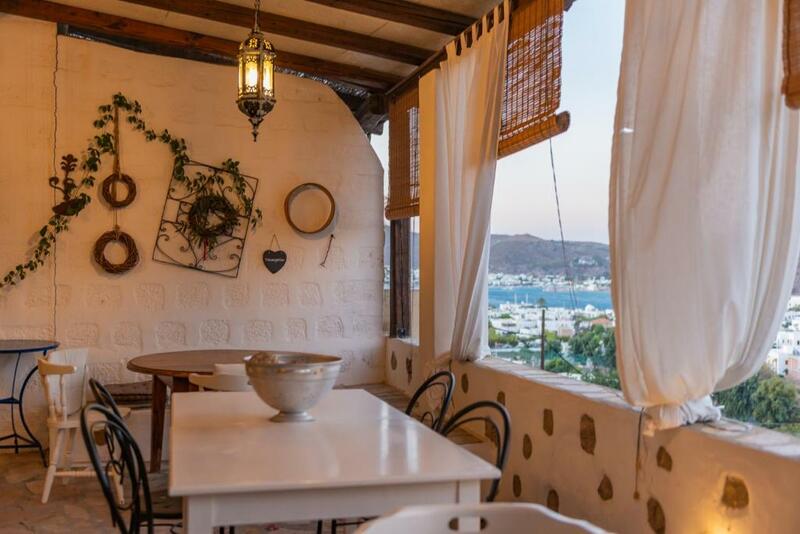 The best choice in Patmos! The property is not very accessible. 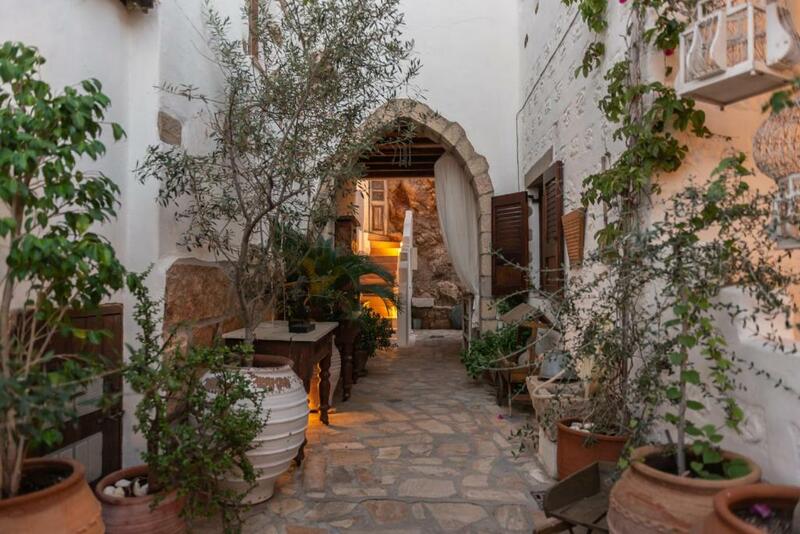 Its up a very rocky donkey track on the side if the hill and then climb 2 flights of stairs to get to the room. All other accommodation allows you to cancel within a reasonable time...but not this one...once you've booked , there's a huge penalty for cancellations. Overall not bad, but would not go there again. Absolutely nothing negative to say! The comfort in the apartment, especially the high temperature in the lounge (no air condition existed in that room).